This weekend, it will host 15 schools, including host Morehead State, Murray State, Eastern Illinois and the Governors from the Ohio Valley Conference. It’s also the rarely-seen three-day, 54-hole tournament during the regular season, with action beginning with 18 holes, Sunday. The Governors are paired with Florida Gulf Coast and High Point for Sunday’s opening round, scheduled to begin 9:33am-10:09am (ET) off Hole No. 1. McCollum will bring the same starting lineup into this week’s tournament that she took to Nevada two weeks ago; juniors Taylor and Ashton Goodley will slot into the first two spots in the lineup, followed by sophomore Meghann Stamps. Junior Reagan Greene and senior AnnaMichelle Moore will switch spots this week, with Moore moving into the No. 4 role. 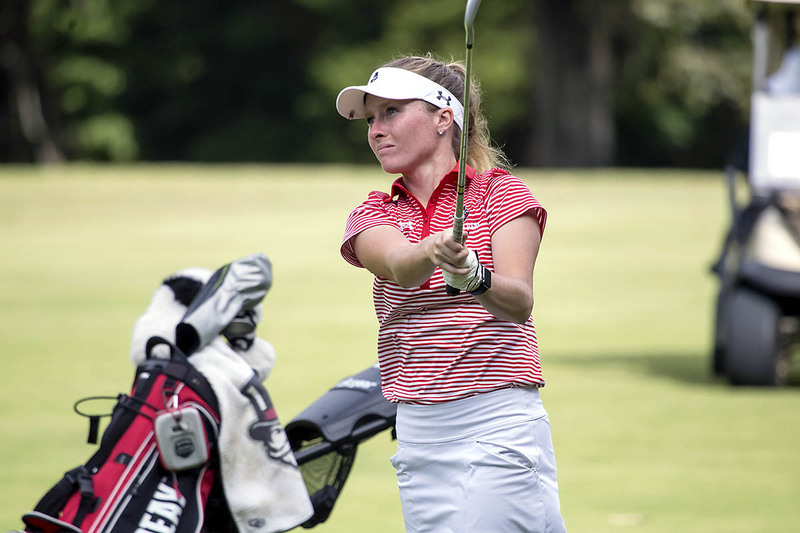 Last season, Ashton Goodley led the Govs in this event, moving nine spots up the leaderboard thanks to a final-round 74; both Goodley’s and Stamps played this tournament for the Govs last season. That trio finished within three shots of one another two weeks ago at the Battle of Boulder Creek II, leading the Govs to a sixth-place finish in Boulder Creek, Nevada. There will not be live scoring from Sorrento this week; a complete recap will be available at LetsGoPeay.com at the conclusion of each day of play.